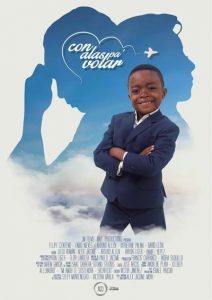 Tito is a little boy whose love for his parents is great, is an only child of the Nieves family, Roberto is a pilot while Pamela is the director of a large advertising agency. The love of the mstrimonio enters into a crisis because of this, Pamela finds the consolation with a tycoon named Adrián Montenegro. Making the school the only shelter of the child, let his director, he will give a great teaching to have faith in that impossible God, so that his family rejoins.